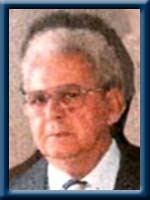 WENTZELL; Harold Z., 93, of Liverpool, Queens County, passed away peacefully in Queens General Hospital Liverpool, on February 28th, 2013. Born in Milton, he was a son of the late Walter and Rhoda (Greenough) Wentzell. Harold worked in the woods before he joined the Royal Canadian Army Corps of Engineers during World War II. Following the war, Harold went to work with Bowater Mersey Paper Company Limited and retired in 1984. He is survived by his wife Dorris (Whynot); his daughter Marilyn (Leo) Langevin of Broad River and Joanne (Ernest) Garred of Edmonton, AB. 3 grandchildren and 3 great grandchildren. He was predeceased by his brothers Ray, Roger and Alvin. Dear Doris: Jamie and I are so sorry to hear about Harold. Our thoughts and prayers are with you at this time. i won’t be able to get to the service. Dear Marilyn, Sorry to hear about your father. Cherish all the good memories as they are yours to keep. Dear Marilyn & Leo , sorry to hear about your dad.He lived a long and for the most part ,a pretty good life.Should we all be so lucky.Will talk to you soon. Take care. Harold ” Rest in Peace”. Doris & family Our sincere condolences to you at this difficult time. Remember all the good times. Doris, Marilyn, Joanne and Families,our sincere condolences on your loss.Our thoughts and Prayers are with you at this time. each other and in your many fond memories. Our thoughts are with you at this difficult time. Marilyn and family – So sorry to hear of your Dad’s passing. You are in our thoughts and prayers. Marilyn & Leo – we’re so sorry to hear about your Dad. Keep your memories close to heart. We’re thinking of you. Sorry to hear of your loss. You were both always thought of sincerely. Our thoughts and prayers are with you at this time. so sorry to read about your Dad’s passing. Our thoughts are with you at this sad time. Sorry to hear about your dad. He lived a good long life. Our thoughts and prayers are with you at this sad time. Marilyn and Leo, so sorry to about the loss of your Father. My Mother Lena Fairn also is sending thoughts and prayers. I hope you remember me we went to school together. Marilyn – Ronald – and Lena. Please accept Richard’s and my sympaties on the passing of your dad and husband . You were so blessed to have had him in your lives for so long .May the love of your family and many friends give you strength and comfort during these difficult days . Marilyn and Leo, We are so sorry for your loss. We pass on our deepest sympathy to You and your family. Sorry to hear of your loss. Our thoughts and prayers are with you. Just heard about the loss of your Dad. Richard and I wish to pass on our condolences to you and your family. My deepest sympathy to all the family. Remembering good times way back when. so shocked when I read this obituary of Uncle Harold’s passing, He was a sweet,kindhearted man, a true gentleman ,I have so many great Memories of growing up and spending some of my summers at their house in Brooklyn , while I babysit for someone in the Brooklyn area….Aunt Doris and Uncle Harold always treated me with kindness….then as the years passed, taking my own sons Ivan and Mitchell down to their house to visit their Great Nanny, Katie Whynot, while she lived with Doris and Harold. sorry we were unable to attend the service , I had just gotten a new job, and only on for 2 weeks…so couldn’t get the time off so soon in a new job…and of course Dad doesn’t do funerals very well and wouldn’t go alone.. I was so sorry to hear about the passing of your Dad.My thoughts and prayers are with you and the family.You still have your memories and remember that he is now in a better place and at peace.Take care.